In our household, nobody was happy for about four to five days. It all started when we switched both babies to Formula B after Okra had had difficulty with gas and Bunny began to have a hard time burping. I thought that we might as well switch both of them on the same formula. Well, they began to have even a harder time burping, and were eating progressively less formula during each feed. Often times they’d appear to be ravenous but would stop and scream in terror after one ounce. They would totally stop eating after two ounces. We are talking about babies who have gone up to 3 to 3.5 oz at each feed. They even started to spit up more and more and the content appeared to be curdled. My heart just hurt seeing how they were unhappy and suffer. I also dreaded feeding time because sometimes the usually happy babies were just inconsolable. I messaged my pediatrician and continued with the new formula thinking that it would take them a few days to get used to it. The more they appeared to be miserable, the more I felt that we needed to do something about it. I hadn’t heard back from our doctor. End of last week, I just made a same-day appointment with our pediatrician online without even calling to consult with the advice nurse or waiting for our doctor’s response. At the doctor’s visit, my babies were described to be “healthy” but “miserable”. Okra was 9 lbs 4.5 oz at the visit. He gained over 3.5 lbs in less than six weeks. Bunny was 8 lb 14.5 oz, so she gained about 2.5 lbs since birth. The doctor took a listen, and found that both of them had a lot of gas, which is not uncommon for infants. Their gas pain in the middle of eating made them want to stop, but they were still hungry, so they would cry for more food in a shorter period of time. With the reflux and the excessive gas that didn’t seem to be able to be released through burping or farting, the doctor decided to treat them with prescriptions for reflux as well as thrush for the whiteness on their tongues that might also be swallowed and contribute to the pain. He also advised me to go back to the previous formula because the babies were eating a good amount of it. Since last Thursday, with all the changes (medication and using Formula A again), the babies’ situation started to improve. Okra went from eating an ounce or two to eating 3.5 to even 4 oz at times. He also became the burping champ. He still spits up some, and he still cries sometimes in the middle of a feed, but he is so much happier. Bunny is still at times difficult to burp, which is puzzling because she used to eat well and burp well, but the amount she eats has gone up to also 3.5oz to sometimes 4 oz. Being a new parent is hard when everyday is a puzzle. My happiness seems to be tightly tied to the babies’ happiness. I am just so relieved that the doctor’s solution seems to work. Now we can go back to being a happy family with two very cute babies who are usually happy and nap/sleep well. Time just flies. They are already over six weeks old. I was going to write about how great our night nanny is but our babies have other ideas. 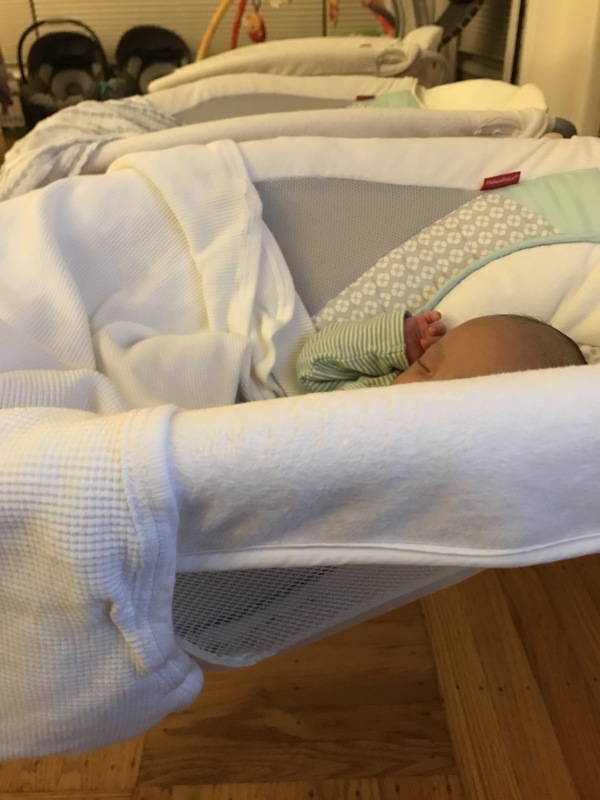 At the time I wanted to write a post, the babies were going through what newborns go through at sundown. They weren’t eating much at meal time and they were wailing on and off for a couple of hours. Dinner time was late and they would be up again soon. Both babies have been having feeding issues. Okra has a really difficult time burping. Every time he eats he cries because he can’t pass the gas. Bunny used to be a champ at burping. The past few days she has been having trouble as well, and sometimes she doesn’t finish the full feed. Needless to say, this is exhausting and a big puzzle to solve. Hoping trying new formula will help. In the mean time, I am very thankful for our night nanny who has been giving us a full night sleep a few times a week. It makes such a huge difference in my ability to enjoy the babies. The morning after the night nanny is here, I would wake up refreshed and feel like I can deal with fussing, crying, and feeding issues all over again. And even for those nights that I feed the babies myself, I feel better because I know that our night nanny will show up the next night helping out so we can put our ear plugs on and sleep. We even attended church on Sunday because we had a full night sleep. 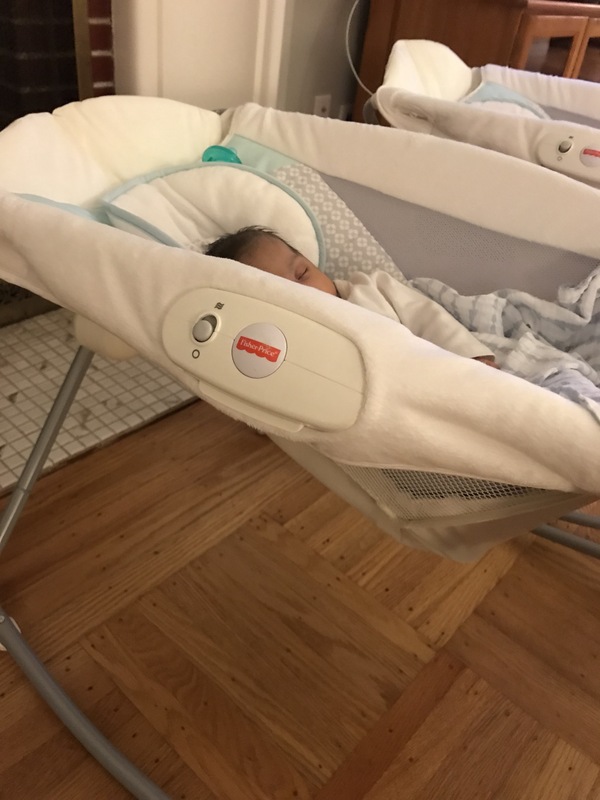 I have learned a great deal from our night nanny about taking care of babies and hopefully I will have more time to write about it in the future. We blinked (and have had many sleepless nights) and the twins are already one month old. 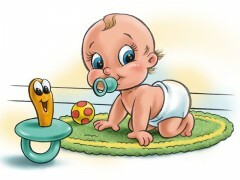 Time goes by fast when all you do is to feed the babies, rock the babies, change diapers, and figure out why they fuss. The biggest thing last week was all about Okra. 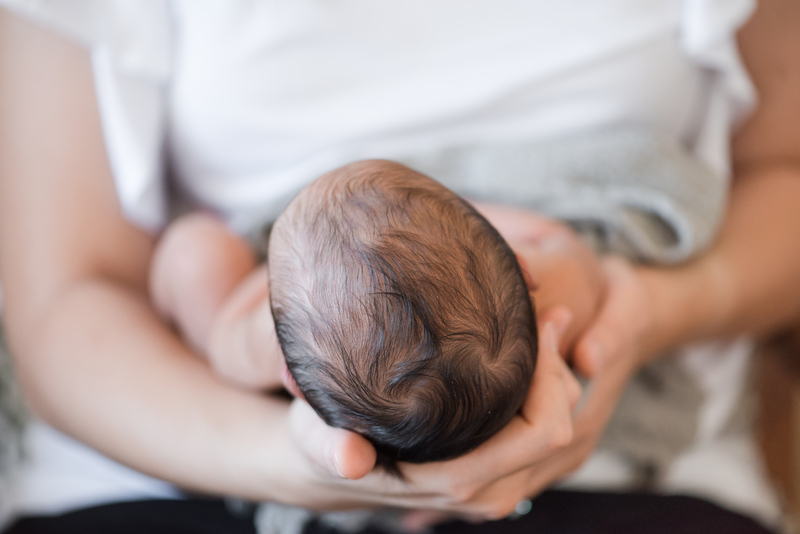 In light of the feeding problems, he saw our pediatrician who told me that the formula the babies had been on is one of the most gas-inducing ones. 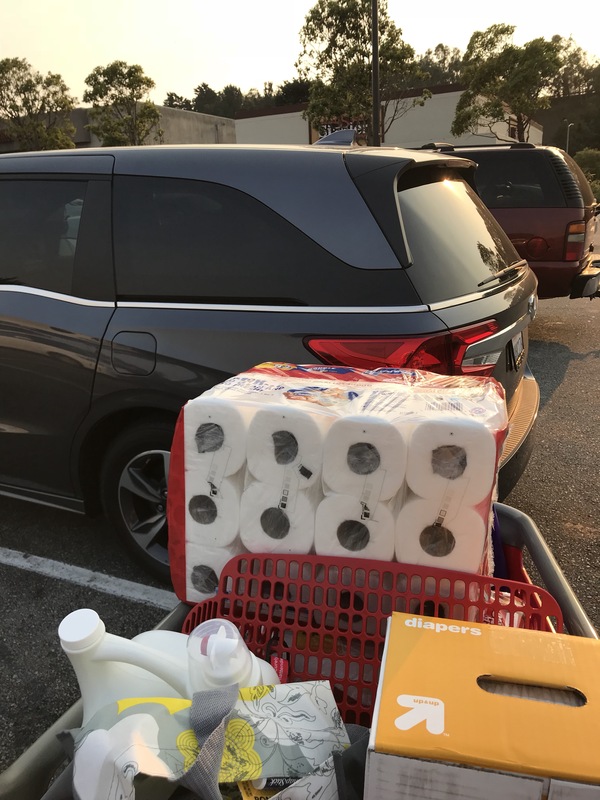 I brought the gas drop that someone bought us off the baby registry. Dr. Easygoing gave him the right dosage and right away the gas seemed to have dissipated when he listened to Okra’s tummy. So baby boy has been put on the sensitive version of the same formula the last few days. Baby girl is also using the same formula because it’s just easier to switch them both. The doctor said that since Okra gained over 2 pounds in three weeks, he’s doing really well health-wise, so he is not worried about the baby. So off we went to switch formula. The new kind seems a lot foamier and I still don’t know how suitable it is for them. All you can do is to try, right? Two days later, Okra all of a sudden developed this congestion. The advice nurse on the phone told me to use saline nasal spray and the bulb syringe or Nosefrida to clear his nose. Lo and behold, some huge snots came out two different times. So I thought he was okay, but the next morning, he was again congested with some audible breathing when he was eating. My mom instinct told me to make an appointment that day with the pediatrician’s office just so I would feel better. At most we’d make a trip for nothing and waste our copayment, but I had to know if he was okay. Dr. Easygoing checked his lungs and he was all clear. He didn’t have an ear infection or a fever. His O2 level was good. Upon checking his nostrils, Dr. Easygoing said that his left one was good but the right one might have a bit of a cold. And the breathing sound that resembles an 80-year-old man who had smoked for 60 years? He said it wasn’t a cause of concern. I was told to continue the saline nasal spray and bulb syringe, and separate him from his sister. We originally had planned a family dinner at a Chinese restaurant for the babies’ one month celebration. Since I really don’t want to expose him to any more germs, we postponed it to another week. Poor boy, he has been having a hard time breathing at times, so he has been struggling with eating. He screams his head off during the saline nasal spray but often looks and feels better after it is done. Sleep has been tough, and poor baby girl has been mostly ignored in her rock and play because everyone has been tending to baby boy’s illness and neediness. After an almost sleepless night and the accumulated sleep deprivation from the last few weeks, Bob and I reached an agreement to try out a night nanny for three nights per week. One night nanny’s name keeps on coming up on the FB posts in our local parents of multiples group and many of the parents there vouch for her. I sent her a text and she immediately called me back. We discussed the details of her duties and the her rate. I would say her rate is mid-range, which is fine by me. She has 20 years of experience helping parents with twins, and many parents in the group gave her glowing reviews. After a few hours of consideration, we decided to book her on a trial, week to week basis. She is currently free for us to choose any nights. The family that has booked her in the future was supposed to start November, but it seems like the babies may come earlier, as early as next weekend. Since we are starting first, we have first dibs in choosing our nights. Bob opted for Sunday, Tuesday, and Thursday so we can sleep through the night every other night and he can go exercise on Monday, Wednesday, Friday mornings. I will update you later on our experience with her. I just feel tremendously blessed that we are in the financial position to do this. Hopefully it helps with my sanity on a day to day basis, so I feel more productive during the day. And maybe with the night time help, I will finally have the energy to work on our birth story?! We will see how they do with weight and height at their one-month old check up today! I had my first solo Tar.get trip since the babies came home. 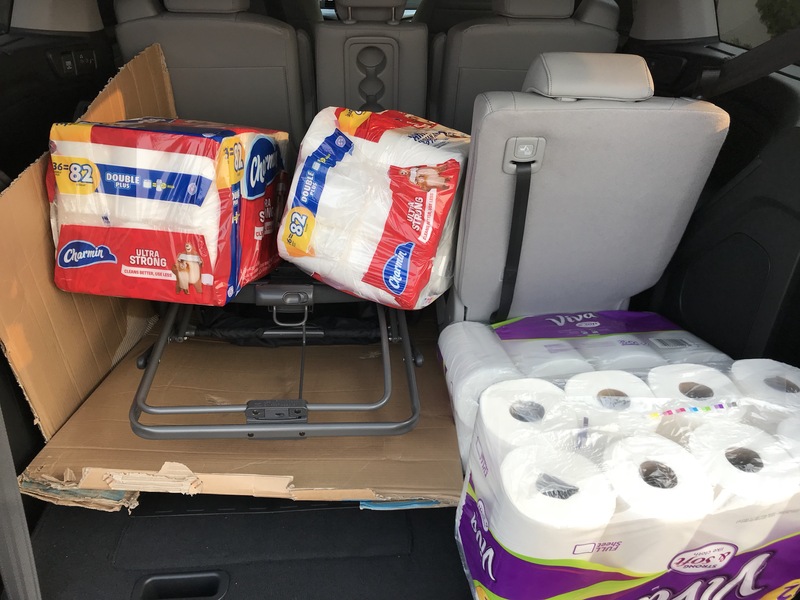 Our new mini-van is super spacious for all the stuff that I had to buy, but it felt kind of funny to be driving it around without the babies behind me. I am going to try the store brand diapers. If they are good, maybe we can save on that category. The first trip away from the babies was good for me. I am so grateful for my parents who are there to watch the babies. The babes are already over three weeks old. I still can hardly believe it that we brought home real babies that breathe and move around and are packing on the pounds. Yesterday I weighed them on the scale that my friend Jane used for her cat, and they were 7.84 and 7.64 lbs. They are definitely gaining weight. Bunny is on a pretty regular schedule; she eats approximately every three hours and is usually pretty calm in between feedings. She does clear her throat constantly still and sometimes spits out her milk if I lay her down too quickly. But she usually eats quickly and becomes content quite fast. I have to burp her for an extended amount of time but she doesn’t fuss. Okra, on the other hand, changed from a mostly easygoing baby to Mr. Screamer this past week. His number one problem is hunger. He would be sleeping and all of a sudden would wake up screaming. His screams are loud and dramatic. We used to go heat up the refrigerated bottle that we pre-make with a Dr. Brown’s Pitcher and change the babies first before we feed them. I soon found that it isn’t working for Okra. The longer we wait, the angrier he gets, and the harder to feed him as he has a hard time regulating himself with sucking, breathing, and crying. Two nights ago, I tried this: at Okra’s first sign of crying, I quickly jump up from bed, heat up the bottle, scoop him up, and feed him. It works half of the time. The other times he still screams in the middle of a feed mostly because of air bubbles and he needs to be burped. He also eats slowly so it takes about 30 minutes to feed him at times. Okra is more unpredictable in the amount and the timing of his feeds. He sometimes eats the full meal of 90 to 100 ml. He sometimes eats a little bit and falls asleep. At times he still screams for more formula after being fed 90ml. And he screams even more when I have to warm up the cold milk. I sometimes just let him drink the cold milk. He sometimes takes it, and sometimes not. If he falls asleep after eating only a part of the bottle, he often wakes up screaming in 45 minutes or an hour wanting more. In terms of schedule, he gets hungry after 1.5 hours, 2 hours, or 3 hours. It’s really hard to gauge. So what does all of this mean to my sanity? I was doing really well the first two weeks of their lives because of all the help that I had. Bob was home and my parents were around. And then mom got sick, and Bob went back to work. My dad helps a lot during the day so I can get some rest. However, in the middle of the night, I try to let Bob sleep through the night so he has enough energy for work the next day. I was doing well and going going going for four nights in a row doing all the feedings until 7am. Then last Thursday night, Friday morning, my body totally shut down at 3am. The babies woke up crying and I just needed to crash. Bob woke up and let me sleep for a good stretch of four, five hours. He was up from 3am until he had to leave for work, and my mom took over after that. That was much needed. Over the weekend, they let me sleep from 7am until 10:30 or 11am. That totally saved my sanity. Remember last week I told you all that I didn’t feel like I was surviving? This week at times I did feel like I was surviving. But, it doesn’t mean that I don’t enjoy my life right now. I enjoy motherhood and these babies tremendously. Bob asked me if at any time I didn’t enjoy the life that I have right now, and he wanted me to be honest. Honestly, the one moment that I had the hardest time was that 3am when my body was screaming to me that this could not be sustained. But overall, I really love being home with my monkeys. They are such a joy to be with and I can’t imagine not having them around. The topic of night doula came up over and over again. The FB group of my local multiples group talks about night doulas all the time. It feels like a dream that someone would come to your home in the evening, feed and take care of your baby, and let you sleep until the next morning. Well, this dream also comes with a hefty price tag. 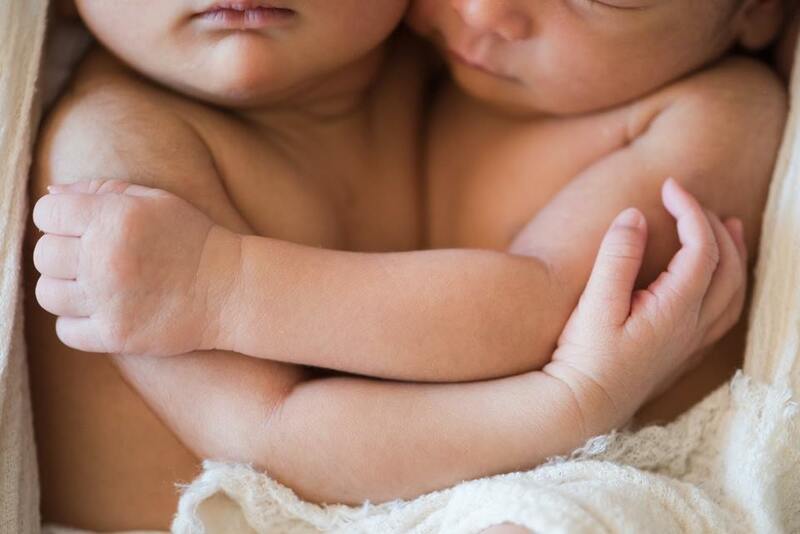 I asked a few parents of twins that we know and they all had night doulas. They all swore by them even though it was pricey. They told me that the night doulas did much more than just taking care of the babies at night. They put them on a schedule so that when you take over again, you will be able to follow the schedule. But, it is still a very large investment and I don’t think we are at that point yet. Maybe by the time we are at that point to spend the money, the babies will start to be on a similar schedule and we won’t need to spend that money anymore. One thing that I really start to love is wearing my babies. 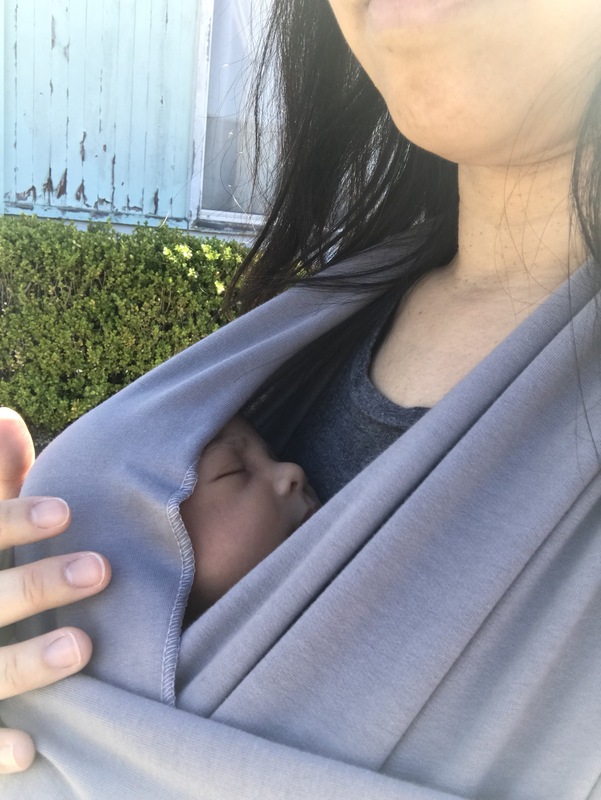 I have learned to use the Boba wrap and started to wear one baby at a time. A few times last week I wore Bunny or Okra out and took a walk around the neighborhood. I would really like to try to wear both of them at the same time but that will take some practice. 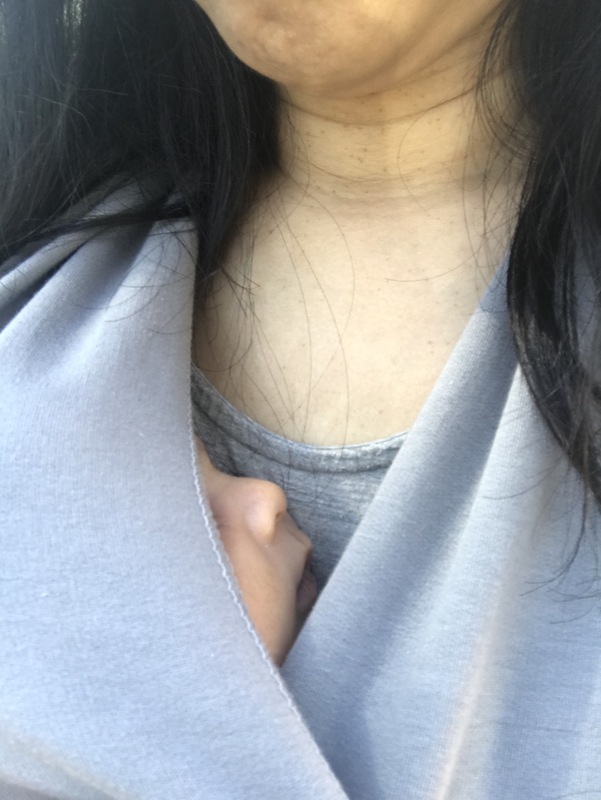 One thing I observe is that you will attract so much attention when you wear a newborn out. When they are so tiny, people stop you and ask questions. Top is Bunny. Bottom is Okra. Bob and I took the babies out to the mall for the first time yesterday. We made a goal to get out as a family at least once this weekend and we did it! It took a long time to feed and change everyone, and put everyone in the car seat. It felt like a lot of work but hey, we did it! It felt like such an accomplishment. The interesting part of it was that we walked through the mall with new eyes as parents of twins. First of all, we parked on the 3rd level of the parking structure thinking that there was a ramp there, but nope, my memory was wrong. We had to push the double frame stroller to another level. For the first time, we had to find the elevator of the mall that we have frequented in the last many years. It was located in the middle of the mall so the journey to the second floor took forever. Bob who was pushing the stroller got stopped numerous times by curious bystanders who inquired about the twins. He couldn’t go where I was going in H&M because of the size of the stroller. The list goes on and on. It was quite a brand new experience. Sometimes I stare at my babies’ face and can’t believe that God entrusted these babies to us. It just feels so surreal still. When will it feel real? I don’t know, but I am for sure soaking in my joy of being the mother to these precious babies even in my state of sleep deprivation. Having newborn twins is no joke. 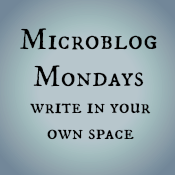 There really isn’t much time left in a day to do anything else, especially writing a blog post. There are constant bottle washing, formula mixing, laundry, diaper changing, holding and rocking, snuggling, staring at the babies’ faces and kissing them. As hectic as it sounds, I have been really enjoying my time with Bunny and Okra at home. I remember what some moms of twins told me a few months ago, that we would survive the first few months of raising twins. So far I don’t feel that I am “surviving”. Feeding them over and over again is not a nuisance, even in the middle of the night. Holding them in my arms, stroking their hair and their faces while they are sleeping is as enjoyable as one can imagine. I wouldn’t trade it with anything else in the world. It’s interesting though. At times it still feels quite surreal to have two new little human beings at home who are totally dependent on us for survival. I sometimes look at their faces and think, wow, where did you come from? At the same time, I can’t imagine life without the both of them. These feelings sound conflicted but they are real. When I call myself “mama” to the babies, sometimes it feels a little strange. When other people call me “mama” in front of the babies, I still have this feeling like, “What, you are calling me?” But there is no denying that these babies belong to me. They are here to stay. I am sure I will get used to being called mom soon. I feel truly blessed though. 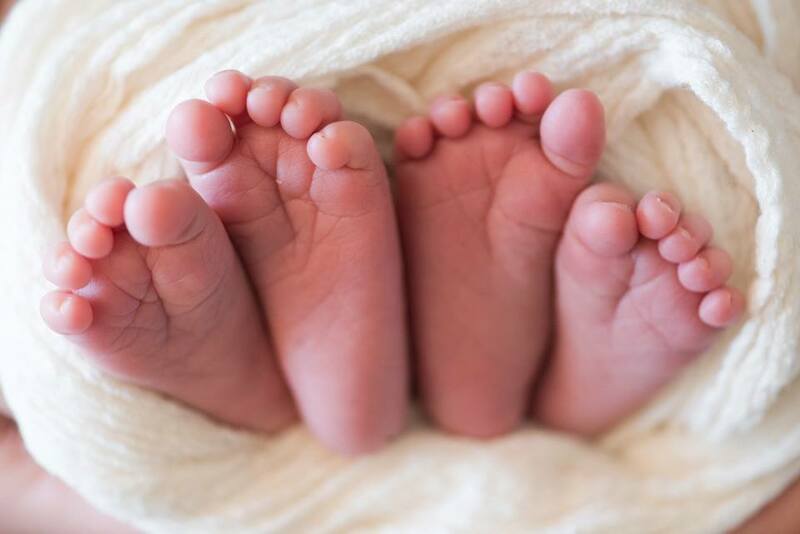 The babies are so good, so adorable, and so perfect in every way, that their existence does make up for a lot of the losses and sufferings in the last few years.